As the first President to live at the newly erected White House, John Adams and the men who followed all took turns bringing their own household employees (sometimes comprised of slaves) to serve them during their term in office until finally in 1840, Congress approved a budgetary change to allot a permanent staff for not just the first family but for all employees and guests that would pass through the doors. And although there have been many changes in terms of attitude and manner of practice in working with the resident ushers, cleaners, cooks and attendants from formerly segregated quarters to a bell system put into place during the Hoover administration to ensure that the servants were never seen nor heard by the President, some of the basic principles have stayed the same. Namely, while presidents come and go, the ninety-five residential staffers who do their job so diligently have always stayed in place regardless of their political or personal beliefs since their mission goes beyond petty points-of-view to a level of intense patriotism as well as professionalism. 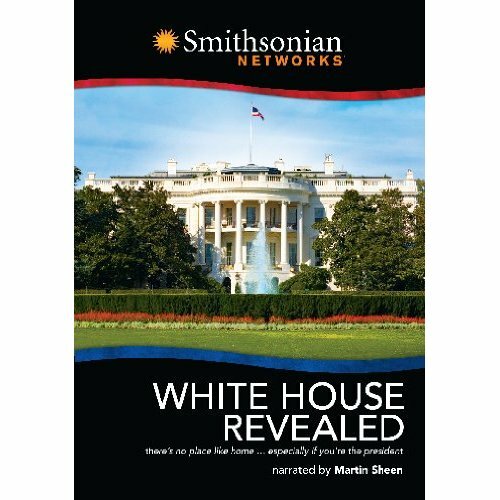 Likewise, working in the White House requires a deft ability to roll with whatever conflicts may arise, however big or small, which we discover in this Smithsonian special narrated by Martin Sheen and featuring interviews with both retired and current White House employees as well as former President George H.W. Bush and the former First Lady Barbara. Enjoyable and informative, we're amused by stories of staffers learning to adhere to the strict dietary needs of one president or photographing an entire knick knack filled table of collectible items cherished by the first lady so that cleaners can put everything in the exact same place they'd originally been in after dusting on a daily basis. Yet more than just cleaning and cooking, we're staggered by how much of an impact the men and women who are often overlooked in governmental coverage have had on our nation's history. Having had to push aside their own sense of loss, the staffers responded intelligently, quickly and appropriately to organize their colleagues following the assassination of JFK and his subsequent funeral, the resignation of the presidential office by Nixon or the attacks on American soil on 9/11. Fiercely loyal and tireless, the workers report to the chief usher who keeps everything running smoothly. From anticipating individual needs to planning elaborate celebrations for holidays and state dinners as well as adapting to the differing privacy needs of every single person in their care, the staffers make the transition as easy as possible for not just the outgoing first family that they've grown attached to over the course several event filled years but also the incoming first family that they've yet to get to know. While of course it's impossible to go into vast detail regarding just what the exact station may be for all ninety-five employees, including some who've stepped into the role as second generation workers following in the footsteps of their parents who'd worked in the administrations of yesteryear, this fascinating portrait of the unsung but affectionately cherished and professionally vital employees makes for an easily entertaining and eye-opening fifty minute DVD release.